The holiday season is a time that can provide much joy and togetherness - but it can also be a period of great loneliness and even depression for certain people. Seasonal affective disorder (SAD) is a cyclical form of depression that can affect people at specific times during the year, mostly in the fall and winter, and its symptoms can be severe. In your interactions with the seniors in your care, be careful not to ignore potential SAD symptoms. The individual might even brush off his or her own symptoms, attributing them to temporary "winter blues" or a "seasonal funk." But such temporary down moods can be persistent and quickly resist improvement. Turning your back to such signs can lead to more serious problems, including thoughts of suicide. People of all ages can experience SAD, but seniors represent a particular challenge. It can be difficult to properly diagnose older people who might be exhibiting symptoms of depression that actually result from other serious medical conditions, such as cancer, stroke or heart disease. Seniors are also susceptible to vascular depression, which occurs when blood vessels harden and constrict over time. This loss of flexibility in the vessels can disrupt normal blood flow to the brain. And certain medications can have side effects that resemble depressive symptoms. Indeed, depressive symptoms can arise from a number of factors closely associated with growing older. A general biological slowdown can lead to decreased energy, increased health risk, fewer opportunities for social interaction and a loss of independence. Because these factors are so common, seniors or their caregivers might be inclined to believe the symptoms of depression are not serious. However, although depression isn't a normal component of the aging process, it is quite common among seniors. Studies have shown that about 6 million Americans age 65 and older suffer from depression — and a mere 10 percent of those receive proper treatment. White males age 85 and older have the highest suicide rate of any age group, and the main cause is untreated depression. Many have a depressive illness that their doctors might not detect. The cause of SAD is unclear, but it might result from several factors related to age, genetics and body chemistry. In particular, drops in levels of the natural hormones melatonin and the brain chemical serotonin might lead to SAD symptoms. Both chemicals play a role in mood, but it's the connection of sunlight with serotonin — and the reduced level of sunlight in fall and winter — that provides perhaps the biggest clue. It's well known that these darker seasons can disrupt the body's biological clock or circadian rhythm. Put simply, SAD might very well be caused by the body's reaction to light deprivation — a lack of sunlight. Typically, older adults suffering from depression show improvement after receiving treatment such as antidepressants and psychotherapy. In fact, psychotherapy alone might be particularly effective in addressing mild forms of depression. But perhaps the most effective way to handle SAD is a combination of psychotherapy, medication and phototherapy (light therapy). Caregivers should already be encouraging the seniors in their care to bring more sunlight (and Vitamin D) into their lives. During the shorter, colder days of fall and winter, it can be more of a challenge to seek the sun; even something as simple as opening the blinds or taking a walk outside can help. Bright light treatment — The individual sits in front of a special fluorescent lamp (a "light box" or "sunbox") for a specific length of time. Dawn or sunshine simulation — In the morning, a light box gradually brightens from dim to brilliant, like a sunrise, while the individual is still asleep. It's amazing what a little sun can do! Light therapy has a high success rate, typically bringing relief from SAD within days. But the individual needs to keep up with the treatment. Adding other simple, proactive measures — getting regular exercise, keeping a strict sleep schedule and eating a healthy diet — can further enhance the person's mood. If a depressed person does not respond to lifestyle changes such as increased light and exercise, it's important to seek the help of a health care professional promptly. With proper attention, SAD is a very treatable condition. In 2000, approximately 605 million people were 60 years or older. According to the Administration on Aging, that number is expected to be close to 2 billion by 2050. It will be the adult children who manage the care of these older adults that will need to discuss the many difficult, yet important topics that are critical to the health and wellbeing of these senior adults. Topics of conversation include finances, driving safety, living situations, health and wellbeing, and many more. There is an ever-growing need today for understanding just how to effectively communciate with aging adults on these important topics and that providing them with meaningful support is imperative for their wellbeing. While it can be a daunting challenge, it is essential for those managing the care of older adults to be patient, respectful and empathetic to the situation. An effective conversation with an older adult should always consist of thoughtful speech, careful listening and an open awareness to their wants and needs. Acknowledge the difficulty of the conversation. Ask questions - always look for ways to have the senior control the conversation. Identify the outcome you're both looking for - the future you want to create. Be open to their thoughts and be thinking outside the box. Inquire into what would help the senior create the next stage of their life as the best part of their life. Take this as an opportunity for soul searching and valuing your relationship with your senior. When utilizing this information, it will help to provide you with the tools to plan and structure your conversations more effectively and it will provide you with the support you need to support the seniors in your life. See Making the Difficult Conversation Easier. SCSA’s Annual CSA Conference is designed to provide current information relevant to professionals working in the senior market on the health, financial, social and legal issues associated with aging and how to apply practical knowledge to improve business practices. The CSA Conference is structured so that attendees gain knowledge relevant to their senior business and have opportunities to grow their professional networks by connecting with others in the senior market. The 2014 Program Committee invites proposals for conference sessions supporting the theme Building Knowledge and Empowering Networks to Benefit Seniors. The deadline for proposals to reach SCSA’s office is November 30, 2013. Proposals will only be accepted if they are submitted using the Session Proposal Form which can be downloaded at http://bit.ly/16jMsDt. Completed forms should be returned to information@csa.us with subject line 2014 Session Proposal. Help make the 2014 CSA Conference a success by submitting your proposal or by sharing this opportunity with a colleague! The FINANCE program track features both advanced and intermediate financial sessions. Some sessions will be geared toward professionals already working in financial services and are designed to be more specific and advanced, while others are meant to appeal to non-financial services professionals seeking a broader understanding that financial issues can have on their clients and their business. 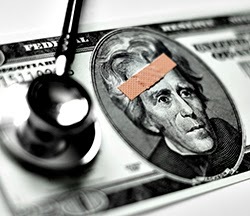 Trending issues or upcoming changes and their implications are preferred. The HEALTHCARE program track features sessions designed to inform participants, provoke discussions and explore new issues related to all aspects of healthcare and caregiving. Healthcare sessions can be a wide variety of topics and should be applicable to all professionals providing care to older adults at various stages of life and multiple levels of care. The healthcare track should include sessions that explore new concepts, address common and emerging issues, or identify best practices. The PUBLIC POLICY program track features sessions designed to 1) educate CSAs through a balanced program track 2) examine new and pending policies that involve senior legislation. The Public Policy session should apply to CSAs from across the US, but can include state specific case studies, examples, regulations, existing law and proposals. The CURRENT RESEARCH & LIFESTYLE program track features sessions designed to enhance professional’s knowledge and skills for better job performance and practices. This track should include sessions that provide information relevant to technology, marketing, social media, company expansion and overcoming business obstacles. Sessions should relate back to senior specific concepts and issues, but can have a wider scope than other conference tracks. 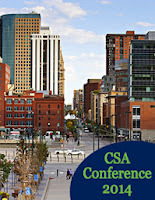 CSA conference sessions fit into the following formats: two 90 minute general sessions, eighteen 60 minute breakout sessions, and one roundtable session with 5-10 subtopics. Breakout sessions can be in roundtable seating for a discussion format or theater-style seating for a presentation format. Interactive sessions with opportunities for facilitated discussion and Q&A, as well as sessions with a case-based approach, are preferred. Preference will be given to sessions that include proven and well-regarded speakers and sessions that focus on outcomes and learning rather than a narrative approach. Sessions should include national content and multiple perspectives on issues. A balanced view of issues and a diversity of perspectives, spanning across senior industry professions is critical. Joint submissions that span the interests of multiple programing tracks are also encouraged. Like many other professionals in their 50’s and 60’s, I have had a number of careers that has kept me excited and passionate about what I do. After the down-turn in the economy in 2008, it was hinted that I was a little ‘over the hill’ and my high paying corporate job was eliminated. It was obvious to me that I wasn’t 'old' so I decided to reinvent myself with a new career helping seniors. The nice thing about working with older people is that I’m considered ‘the kid’. About four and a half years ago, in Southern California, I started a company helping older adults through the move process. Then, after being gone for many decades, I moved back to my home town of Windsor, Ontario Canada and re-started the senior relocation business, Moving In Harmony in January 2012. After the layoff, I created a wonderful business that resulted from assisting my Mother with the decision that it was time to move to a retirement community after living in her home for 56 years. Many of our clients, like my Mother, are older adults who have decided to move because they realize it’s very difficult to deal with grocery shopping, cooking, home repairs, arranging for gardening services and snow removal as well as needing some help in regards to daily care for themselves. Most people, when faced with a pending move, immediately think “Oh I have to contact a moving company”. But unfortunately the moving company arrives and says ‘When do you want to move and here is an estimate’. They don’t help with the larger aspects of moving such as downsizing, liquidating household contents and sometimes they don’t even offer packing services. They arrive on move day and just move furniture and boxes from point A to point B. Moving In Harmony makes all the arrangements for the soon-to-move older adult(s). We help with assessing the new residence to determine what furniture will fit, then we help with downsizing, packing, arranging for the move, selecting the moving company, organizing the contents of the house, handling shipping and distributing heirlooms to family members, liquidating personal property and anything that needs to be handled. We transition many who either do not have children or their adult children cannot help much due to time and geographical restraints. Our clients know that there is a level of caring that sometimes characterizes our role as a ‘surrogate daughter’ or ‘surrogate son’ or ‘surrogate grandchild’. Moving In Harmony also specializes in estate sales for those who have significant personal property that will be left behind and not moved to the new home. The income from the estate sale helps offset moving costs. When we are dealing with people who are so anxious about getting themselves through this difficult transition, we keep our motto in mind, ‘We take our clients from overwhelmed to overjoyed’. Our system includes a lot of kindness, empathy and respect during the move process so that our client(s) stay calm and in control. Let me take this opportunity, though, to tell you about my learning curve during my four and half years. Personally visiting over 50 independent retirement and assisted living communities in Southern California and in Canada, helps me to truly understand the complexity of the move process that many people in their 70’s and 80’ sand 90’s experience. After working a short while with older adults, we came to realize the danger of assuming all those we call 'senior citizens’ belong to one group. Each move that we do is unique because people are unique. Each circumstance is unique with a variety of motivating factors and sources of anxiety. I formed an advisory board of various kinds of experts (mostly people in their 80’s) which has given us invaluable insights for understanding how to better serve our aging clients. And of course, the CSA certification provided me with a ‘bigger picture’ and useful information that I could implement in my business (and life). Learning about different age group’s attitudes, motivators, wants and needs gives me a confidence to work and reach out to older adults with understanding, empathy, kindness and respect. The Society of Certified Senior Advisors has helped me and my team to enhance our services while learning the importance of connecting our clients with a network of industry-wide providers. Every year hundreds, perhaps thousands, of CSAs take time from their busy practices to make a difference in the lives of seniors. 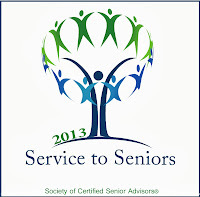 The Society of Certified Senior Advisors believes it is important to recognize the outstanding achievements of our CSA's who are helping to improve the lives of seniors through their volunteering efforts. Compassion, creativity and a “can do” attitude make CSA volunteers an incredible asset to the seniors they serve and to the local non-profit organizations that serve the senior industry. CSA's are problem-solvers, fundraisers, facilitators and friends. Volunteering with seniors is a passionate attribute to the personal and professional services provided within their communities. 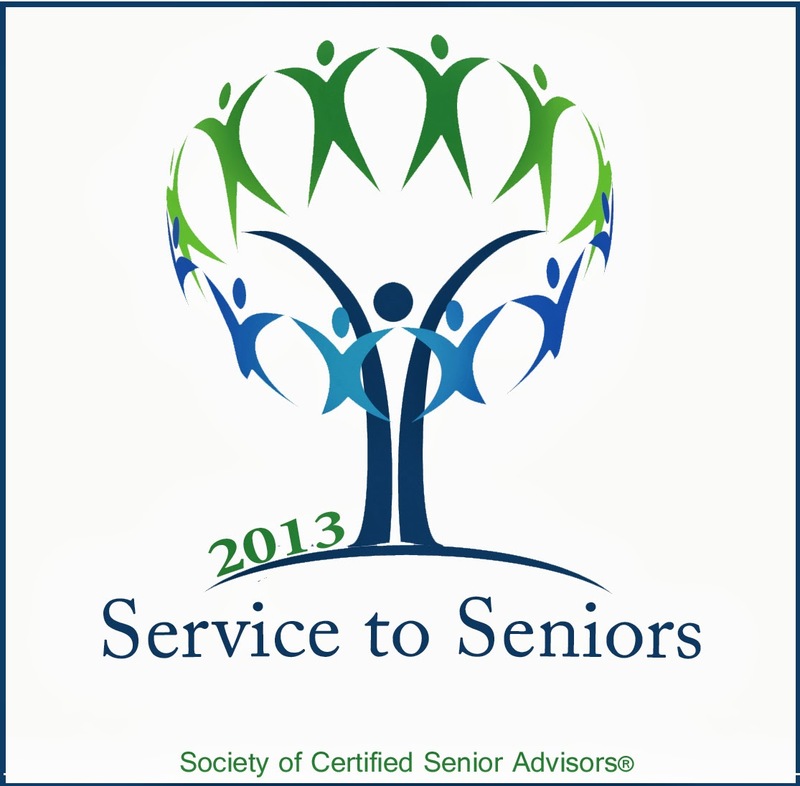 We are pleased to announce the winners of the 2013 Service to Seniors Awards program. 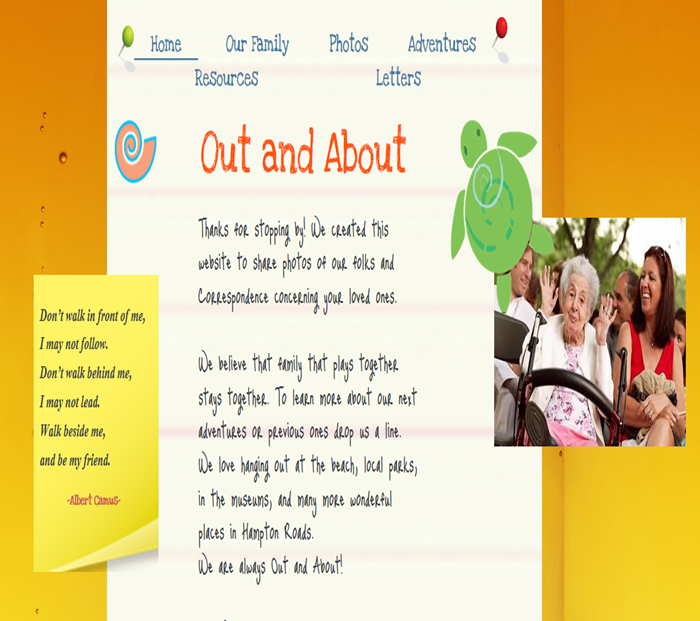 Established in September 2011, Out and About Day Respite Services is an innovative service providing socialization for seniors that live at home and in care communities to get "Out and About". Out and About offers participants with varying levels of dementia, independence and a chance to explore the vast array of opportunities and local events, while stimulating the senses intellectually and reconnecting outside their permanent, secured setting. In addition, Lisa adds communication and support for caregivers by offering in-home care coaching. Lisa earned a $500 donation to the charity of her choice, donating proceeds to The Alzheimer's Association, Southeastern Virginia Chapter. Conducts free seminars to the public on senior related subjects. Plans senior activities, events and services for seniors in the church. 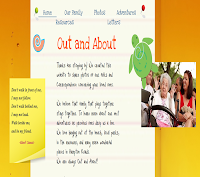 Creates educational programs, seminars, lectures and workshops dealing with senior related topics. Planning the establishment of a senior center to serve as source of information for seniors and caregivers. Assists with the organizations mission to build a cohort of constituents, caregivers, and stakeholders engaged in advocacy and social action to improve the ability of seniors to live independently. Skip earned a $500 donation to the charity of his choice, donating proceeds to Heart of the Valley. 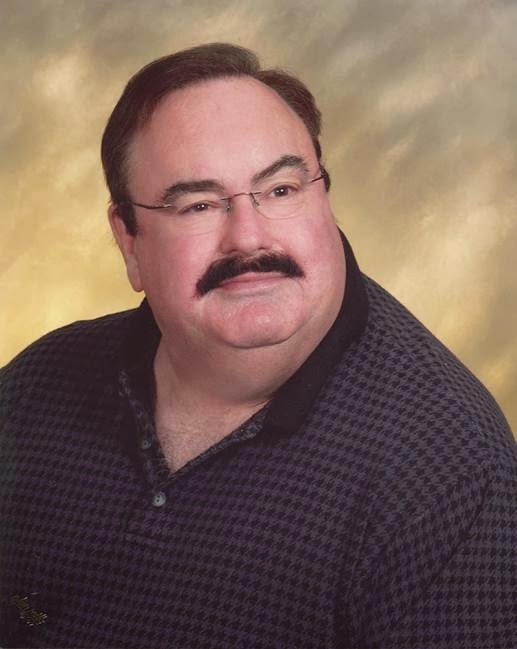 Sandy has been a Certified Senior Advisor for over 10 years. 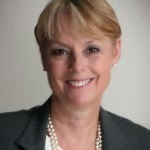 She has more than 40 years as a certified paralegal as a solid foundation. 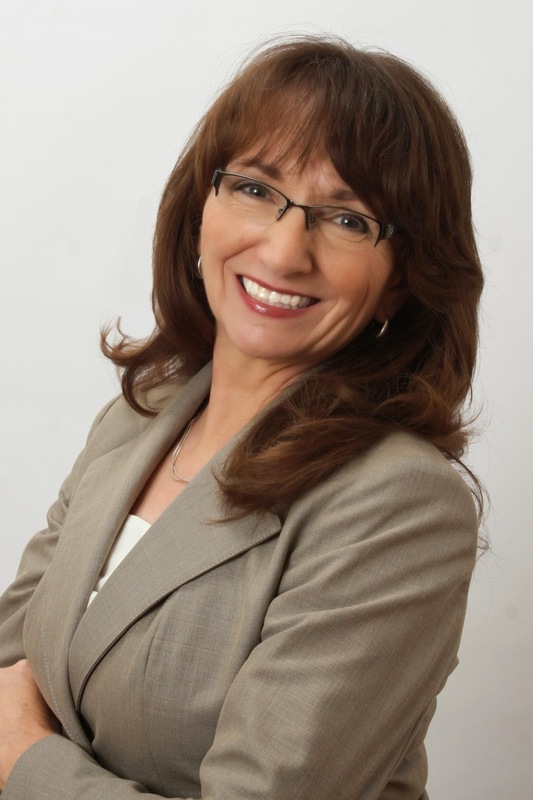 She has also been a life, health and disability insurance agent since 1995. Sandy first decided to become a CSA when her mother became seriously ill in 2001. She was very active in her mother's care issues and working with her various medical providers. The "to-the-point" quality training offered by SCSA to see issues from the senior's perspective is what attracted her to the organization in the beginning. 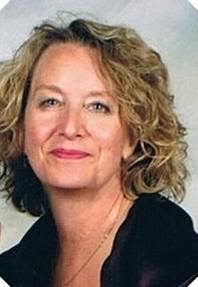 As a CSA, Sandy works with seniors on many of their needs, but specializes mostly in Social Security and Medicare issues. Her primary emphasis is how these issues, specifically Social Security, affect women and their financial future. She has successfully helped many women obtain increased Social Security benefits above what they were previously receiving. Sandy earned a $500 donation to the charity of her choice, donating proceeds to Senior Services of Snohomish County. Congratulations, Lisa, Skip and Sandy! additional information, go to www.csa.us.